To access the air valve you must remove the air spring cap that is found above the OTT adjuster. Attach your shock pump securely and inflate the air spring to the recommended air pressure. After you have added the proper amount of air pressure remember to securely replace the air spring cap so that no dirt or moisture can get inside. 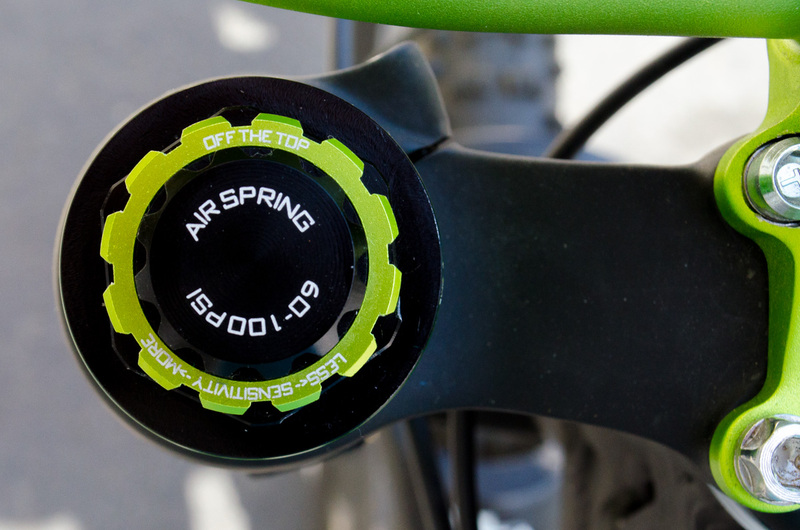 To access the air valve you must remove the air spring cap by rotating the cap counter clockwise. 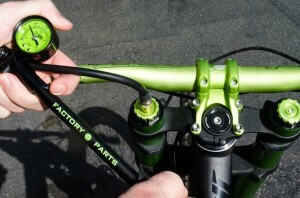 Keep in mind that when attaching the shock pump some pressure will be lost. The amount being displayed will be less than what was previously set at. *If you are out of the range of our recommended base tunes then custom tuning might be for you. Check out our Custom Tuning Page for more details.